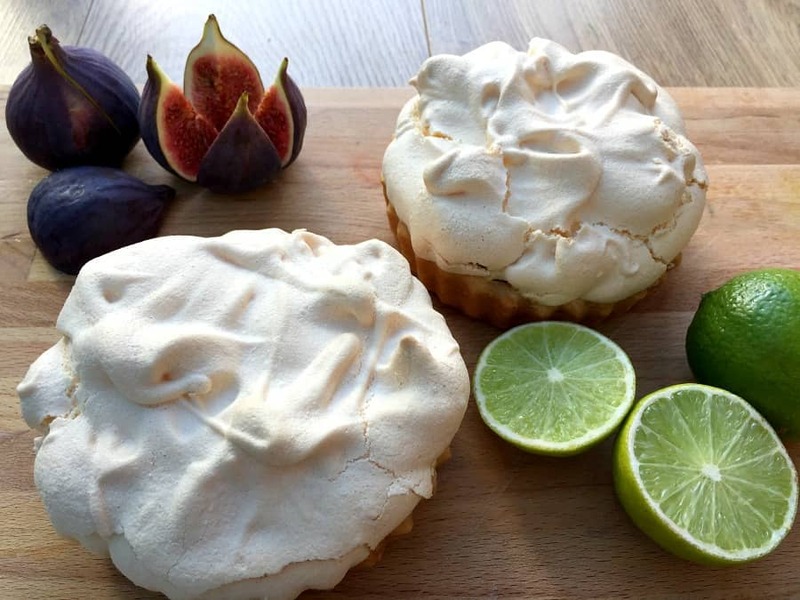 Inspired by the Great British Bake Off this week, and Botanical Week in which they made citrus meringue pies, fougasse and floral cakes, I’ve made mini cherry lime meringue pies. Delicious pastry filled with tart curd and topped with meringue with a crunchy top and a soft and marshmallowy inside – yes please! In the past I have to admit I wouldn’t have considered making lemon/citrus meringue pies as I would have found them too complicated, but spurred on by the bakewell tart I made last week I decided to give it a go. If you break it down into the components of pastry, curd and meringue, it is not so daunting. I used pastry left over from last week’s bakewell tart, which I froze, and this was just the right amount for two small pies. Seeing as I am currently trying to cut down on sugary foods the size of the pies was just right for a small slice without there being too much left over to tempt me! To make the meringue I used my new Kenwood Patissier stand mixer which AO sent me recently. I was impressed as the whisk attachment whipped the egg whites to firm peaks in about a minute, which is much quicker than my other stand mixer. I will be using it to make more cakes soon and will report back. Sticking with the citrus theme I decided to make cherry and lime curd, to give some nice colour. It ended up a lovely dusky pink which I loved. When I made my blackcurrant curd earlier this year it opened up a whole new world of colourful curds to be discovered! This time I used the microwave to make the curd, and I must say I’m now converted to the microwave method. It is so quick and easy, the curd was thickening in the fridge after just a few minutes. Using tinned cherries as a shortcut made this a curd you can make all year round too. I heated the tinned cherries and lime curd in a pan until the juices flowed from the cherries. Next add the juice to the eggs, sugar and butter and microwave on high for a minute at a time, beating well after each minute. It doesn’t take long to thicken. Then leave aside to cool while you bake the pastry. 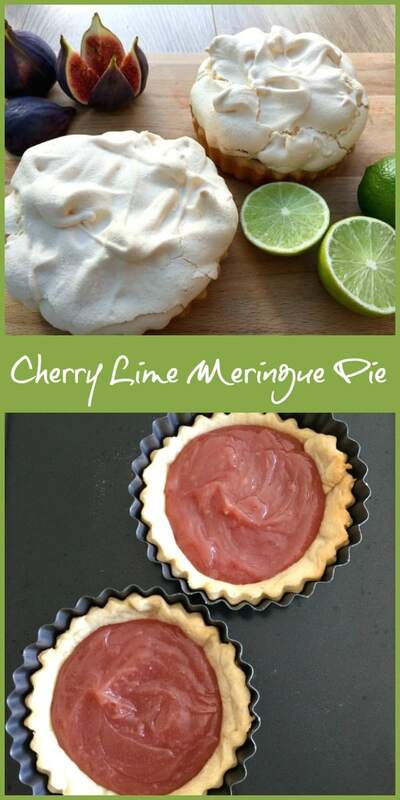 Read on for the recipe for my mini cherry lime meringue pies. Pretty cherry and lime curd before baking, what a lovely colour. Since the pies are quite small, it is pretty difficult to slice in cleanly and show the centre, so you’ll have to excuse the cracking on the meringue. The first pie was eaten pretty quickly and the second one is calling my name from the fridge…. 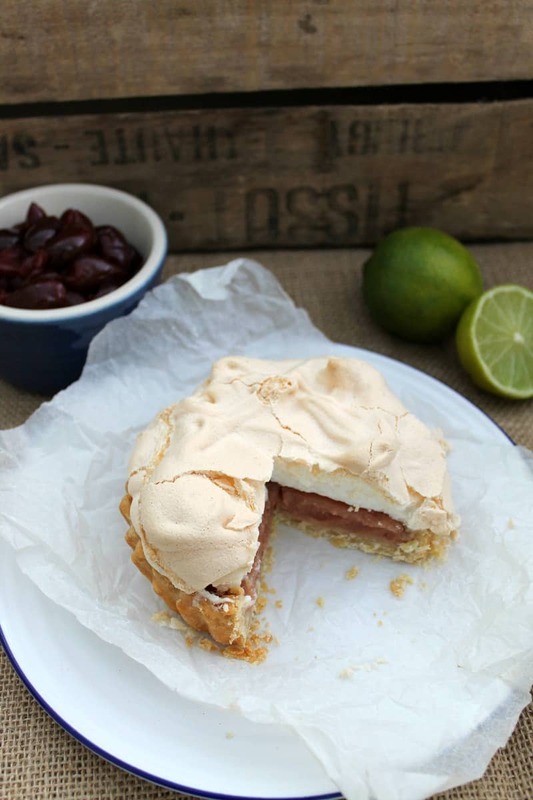 and don’t forget to pin my mini cherry lime meringue pies for later! 1 quantity I used the leftover pastry from the bakewell tart I made last week which I had frozen. The quantities in that recipe makes enough pastry for a large bakewell tart and two pies made here (or one large pie). Defrost the pastry, if frozen, or make and chill if making it from scratch. Make the curd. Place the black cherries and lime juice in a small pan and heat gently for a few minutes until the juices come out of the cherries. Set aside to cool. Strain the liquid into a small bowl. Once cool, add the 2 beaten eggs, sugar and butter to the lime and cherry juice in a microwaveable bowl. Microwave on high, covered, for 1 minute then stir well. Microwave for 1 minute on medium, uncovered, five or six more times, until thickened, stirring vigorously after each minute. Once thickened enough to coat a spoon, allow it to cool. Line your tins with the pastry, add baking paper on top and fill them with baking beans and bake blind for 15 minutes at 180 degrees (fan). Remove the baking paper and beans and bake for 2-3 minutes more, then remove from the oven and cool. Pour the curd into the cooled pastry shells and chill for 30 minute in the fridge. Prepare the meringue. 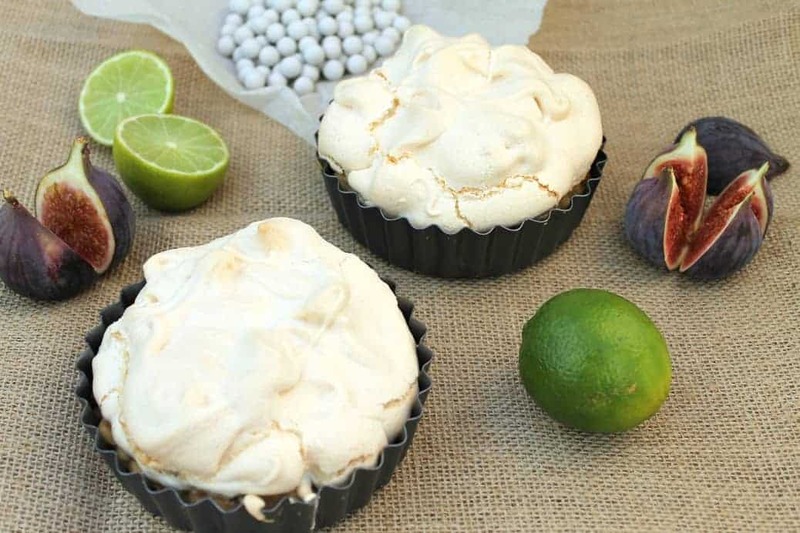 Beat the egg whites in a stand mixer until they reach the firm peak stage, then add the caster sugar slowly spoon by spoon, mixing between each addition, until the meringue is glossy and firm. 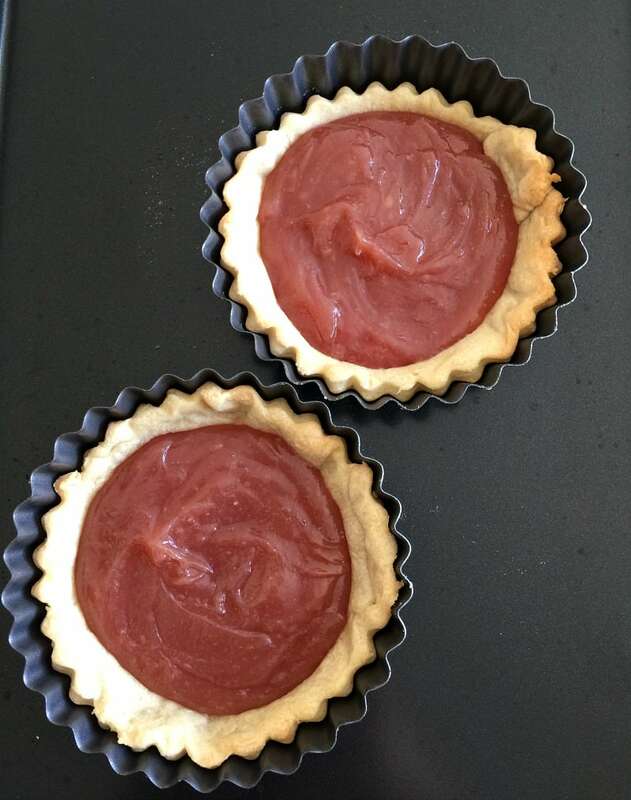 Remove the pastry shells filled with curd from the fridge and spoon the meringue on top, starting around the edges so the meringue attaches to the pastry. Make small peaks and swirls on top using a spoon. Bake for approx 25 minutes at 180 degrees, until the top is crisp and the centre of the meringue is still soft and marshmallow-like. Allow to cool and stand for a couple of hours before eating, to ensure it is firm. 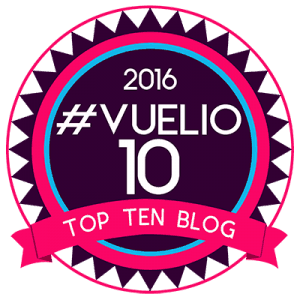 Linking up with Bake of the Week with Helen and Great Bloggers Bake Off with Jenny. Love this flavour combination! I bet these were so good! These little pies are so pretty. My mouth is watering just looking at them! These sound wonderful Lucy. I’ve never made a lemon meringue pie or similar, but if I did, I think I’d want to try your cherry version. I love making fruit curds though and cherry and lime sounds gorgeous. 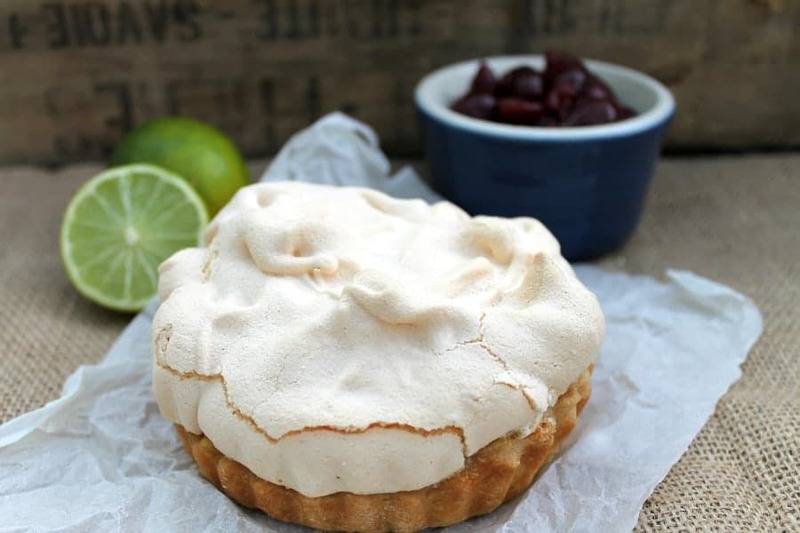 I’ve only ever had lemon meringue pie which I deeply love but I must say your cherry lime one makes me yearn to try it! They look great. I didn’t think of freezing leftover pastry, I though it will not be as good when I defrost it. After seeing your pies, I will make a batch of pastry and freeze it for Christmas, it will make my life easier. Thanks Anca. Oh that is a good idea, I will have to do the same! You must have noticed my tendency to combine random flavours hehehe. Luckily it worked well and gave a pretty colour too! You’re welcome, your apple meringue looks like an excellent pudding. 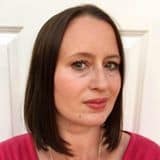 Wow Lucy, you certainly look to have nailed that! 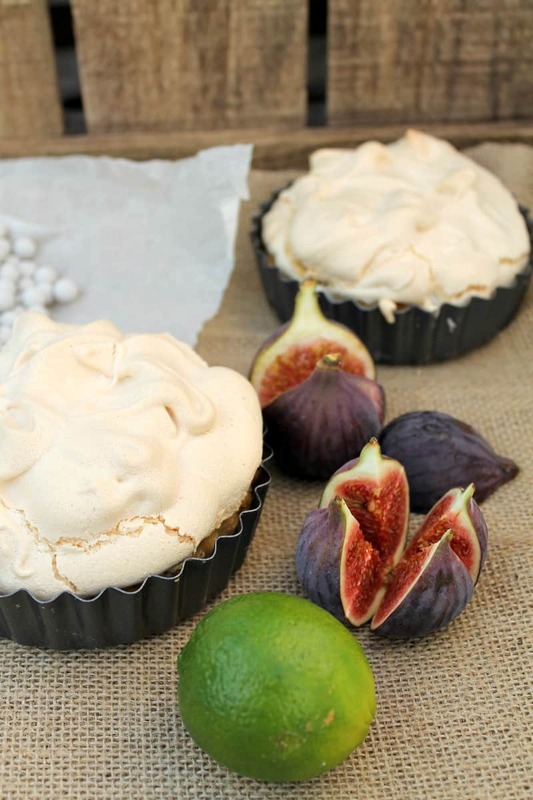 The meringue looks beautifully crisp and as for the colour of the curd filling – it’s so pretty!